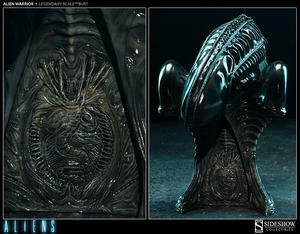 Sideshow Collectibles is thrilled to present the Alien Warrior Legendary Scale™ Bust. 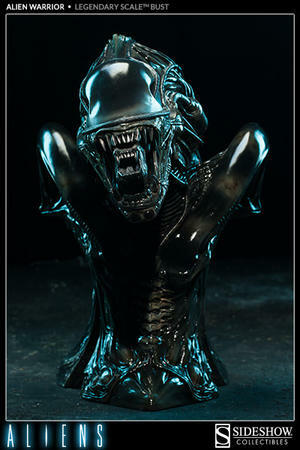 Our artisans have replicated one of Hollywood's most memorable monsters to exacting standards, and at roughly one-half scale, this miniature xenomorph is no less intimidating than its life size counterpart. 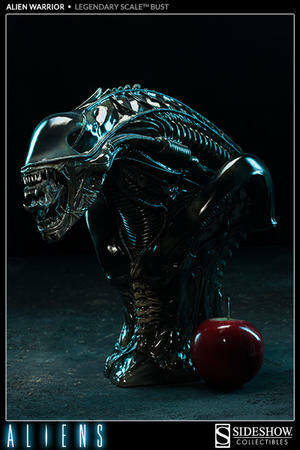 Hand-finished with a wealth of fine detail and signature glossy-wet appearance, the Legendary Scale™ Bust accentuates the distinct exo-skeletal sinewy ridges, and brown coloration of the warrior as seen in James Cameron's 1986 sequel. 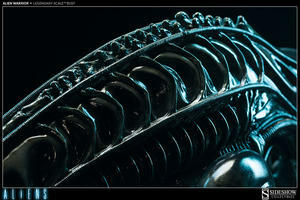 Incorporated into the base of the bust is a relief design of an Alien egg and facehugger - a special nod to the rich film lore of the Aliens universe. With terrifying inner jaws exposed, the eerie Alien Warrior Legendary Scale™ Bust is so lifelike you can almost hear it's menacing hiss - think twice before getting too close!